Charwin Private Clients are Independent Mortgage Advisers with unlimited access to the mortgage market. We will advise on whether to stay with your existing lender or benefit from switching to a new one. We take pride in our reputation, delivering great customer service at a low or zero cost to the customer. We can help with Remortgaging, switch products with your existing lender, Home movers and purchases, Buy to Let (including Limited Company & SPV), commercial and 2nd charge finance. We also offer Life and Home insurance through Charwin Insurance, where we take full responsibility for the advice given and recommendation of your insurance policy to ensure you get the most cover for your money. Charwin Insurance only recommend Defaqto 5 Star rated policies from a range of well-known providers at very competitive prices, giving you peace of minds that your home and family are safe. Charwin Private Clients Ltd is authorised and regulated by the Financial Conduct Authority. Our firm’s number is 498486. Registered office: Holland Court, The Close, Norwich, NR1 4DY. D O'Kane Financial Services Ltd is an independent firm offering high quality Independent Financial Advice to Private Individuals, Businesses, and other Legal Entities, such as Trusts. We have an excellent team, together with the expertise and research tools to find the most appropriate solution which best suit your needs. We are qualified to advise in all areas of Financial Planning including Investment Planning, Retirement Planning & Pensions, Insurance, Inheritance tax planning, and Business Financial Advice. We analyse your financial situation using sophisticated research tools and provide unbiased financial advice by following a robust process. This process and our status as independent financial advisers (IFA's) ensure that we are able to recommend the most appropriate products and solutions available on the market to suit your requirements. In addition to this, we are delighted to offer an initial one hour free consultation for all new clients. For an unbiased full financial review, please contact us today on 01493 604646 or email. D O'Kane Financial Services Ltd is authorised and regulated by the Financial Conduct Authority. The FSA does not regulate some forms of IHT Planning. Registered Address: 47 Englands Lane, Gorleston, Great Yarmouth, Norfolk, NR31 6BE. Registered Number: 08932631. Eastern Wealth Management was established by Chartered Financial Planner, Trevor Taylor after 30 successful years as an employee of other financial advice companies. Eastern Wealth Management, The Enterprise Centre, University of East Anglia, Norwich Research Park, Norwich, NR4 7TJ. If you have suffered an injury, either as the result of an accident or medical negligence, why not speak to one of the specialists in our sister company, Morgan Jones Pett Ltd. The team consists of David, Sara and Simon, who between them have over 50 years of claims experience. They offer ‘no win no fee’ and a free 30-minute consultation. We pride ourselves on offering a very high consistent service to all our clients, both landlords and tenants. Our company is big enough to cope and small enough to care about all your property needs. If you are new to lettings or a long term landlord we are confident of being able to provide a service to suit all your needs. With many years' experience in the local market we are able to care for and maintain your property to the highest standards. From tenant search, full referencing, move in to property maintenance and checkout the utmost care is taken to look after your asset and return a regular income. Norfolk Property Lettings and Management Norwich has been exclusively managing properties for many years throughout Norfolk and the surrounding areas. We endeavour to provide our clients with the best possible service, and pride ourselves on our total commitment and professionalism coupled with extensive local knowledge. Pembroke Will Writers are a family run business that have steadfastly served the Kent, London, Essex and Sussex areas in enacting Wills and Estate Planning concerns since 2000. Committed to safeguarding the needs of our clients, Pembroke Will Writers have an expert understanding of how to create a well drafted Will to take the hassle and stress from your loved ones. When property is now purchased by mutual owners, our professional tenancy agreements advice will ensure a property is passed on to the intended beneficiaries. Additionally, we have a professional understanding in later life planning, protecting the future of our clients with a lasting power of attorney (LPA). Following the death of a loved one, our adept understanding of probate laws means we are well placed to help with the complex and time-consuming probate and estate administration process. We can also assist with funeral plans. Premier Financial Group Ltd is a family run business established since 1990. We are fully qualified Financial Advisers directly authorised by the Financial Conduct Authority. We are predominantly Mortgage Advisers specialising in Mortgages and associated insurance products such as Life Insurance and Buildings & Contents Insurance. We care for the financial needs of our clients both individual and corporate by applying the highest level of skill and expertise to the advice and service we give regardless of the client’s wealth. Most new clients are referred to us by personal recommendation from existing clients or professional firms, therefore customer satisfaction is top of our priorities. We are committed to helping you, not just on the day of the advice, nor just to help the products chosen to go through to completion, but also an after care that ensures you continue on the right track for life. We are directly authorised by the Financial Conduct Authority with qualified advisers choosing products from the Whole of Market. More importantly each of our advisers specialise in a certain area instead of a jack of all trades approach you may see elsewhere. Premier Financial Group Ltd is authorised and regulated by the Financial Conduct Authority. 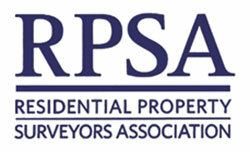 The Residential Property Surveyors Association (RPSA) is a representative body for independent specialist residential surveyors who are the industry's leading specialists in reporting on the condition of residential properties on behalf of home buyers. The RPSA is dedicated to helping its members deliver a range of high quality survey products, helping consumers at the time they are making one of the biggest investments of their lives. Which? found that for those people that did not get a survey, on average one in four had to spend over £2,500 to put serious defects right which would have been uncovered in a condition report. For one in ten people it was over £10,000. By contrast, those that did get a proper survey were able to negotiate a reduction in the asking price of the property that averaged £2,000. Mortgage lenders, financial advisors, solicitors and conveyancers all recommend that you get independent advice about the property you are about to buy. We specialise in providing bespoke high quality financial advice to individuals and companies. This includes advice on pensions and saving for your retirement, tax efficient investment planning and your insurance and protection needs. We offer an initial consultation free of charge. The Partner Practice represents only St. James's Place Wealth Management plc (which is authorised and regulated by the Financial Conduct Authority) for the purpose of advising solely on the Group's wealth management products and services, more details of which are set out on the Group's website www.sjp.co.uk/products.